The bankruptcy of Hostess and its return as a non-union, low-wage company is the latest example of how working people – both white and blue collar – have had their incomes and benefits slashed since the 1970s. To justify these cutbacks, there has been a series of nasty media campaigns against groups of “undeserving” or “overpaid” workers. 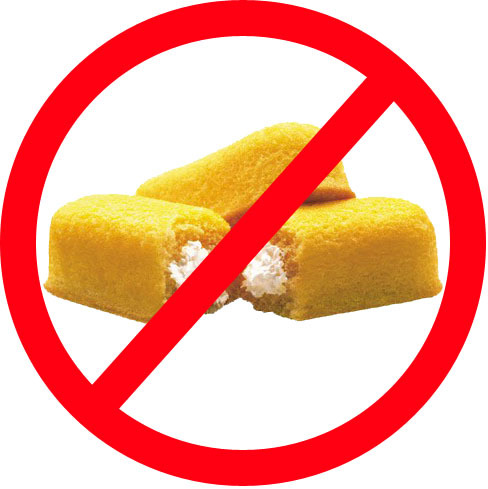 Hostess Brands struggled in the 2000s as consumers became more health conscious and began buying fewer Twinkies, Cup Cakes, Ring Dings and other wonderful but dangerous products. The company went into bankruptcy in early 2012, with managers blaming its unionized worker’s wages and pension benefits while workers blamed managers for not responding to changing consumer tastes. When the company tried to dramatically cut wages in the post-bankruptcy contract, the bakers went out on strike. Hostess closed its doors and sold its well-known brands to other companies – for example, Wonder Bread was sold to Flower Foods. 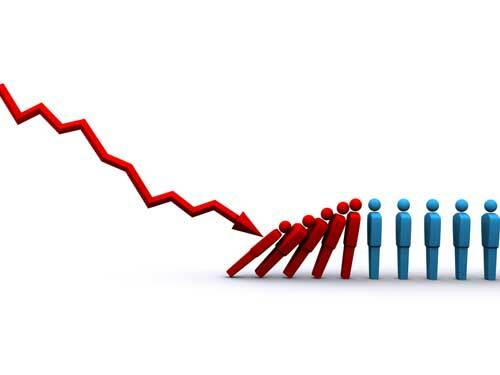 15,000 unionized workers lost their jobs. Two leveraged buy-out firms bought the Hostess Brand name, which included Twinkies and Hostess Cup Cakes. The new Hostess company they created has no unions and jobs that used to pay $16 per hour now pay only $11 per hour. That’s a drop from $33,280 per year to $22,880 per year for full time work. Former employee pensions were reduced from $1,800 per month to $500 per month. Rather than being an isolated incident, this kind of wage downsizing has been going on for a generation. After World War II the world’s leading nation’s – England, France, Germany, Italy, and Japan – were devastated by the fighting on their soil and eager to buy American products. This set off a golden age in the U.S., where companies made good profits, workers received big wage gains, and America ran a large trade surplus with the world. This began to change in the 1960s when Germany, England, Italy and France, now recovered from the war, started exporting more goods into the U.S. By the 1970s, with Japan’s efficient companies also exporting like mad and higher oil costs pressing prices up, American companies endured a big squeeze on their profit rates. In the 1970s, the first campaign was to de-regulate the airline and trucking industries whose workers were depicted as fueling inflation with their unreasonable wage demands. Then, in 1981, after President Reagan broke a strike by the Air Traffic Controllers union, a tidal wave of union give-backs began. If a union resisted wage reductions, companies moved to the non-union South, set up shop overseas, or went through bankruptcy court like Hostess did – where they were allowed to cancel all of their labor union contracts. In the 1990s, there was fierce new competition from the “Asian Tigers” – South Korea, Singapore, Taiwan, and Hong Kong – and then in the 2000s China’s export drive took off. With profits still in a tight squeeze, first middle managers, then retail workers, teachers, auto workers, telephone assistance workers, and post office employees took turns being publically derided as “unproductive,” or “undeserving,” workers. Isolated, each of these groups have suffered lay-offs and wage reductions. The median annual household income, adjusted for inflation, is 8.7% less than it was in 1970. More than 48 million adults in the U.S. don’t have health insurance. The top 10% of earners were paid 50% of the country’s total income in 2012. Almost 95% of the income gains since 2009 have gone to the top 1% of households. It is time to end the blame game and realize that our friends, neighbors, and relatives deserve wages that give them a decent standard of living. Our nation’s wealth must be re-distributed and the first step is to refuse to buy Hostess Twinkies and Cupcakes – products from the dark side. ← Out of Curiosity, Which Social Model Would You Prefer?